At Frank Kent Chrysler Dodge Jeep Ram, we know how important it is to find the right car, truck, or SUV before making the final decision to buy. This is especially true when you’re shopping for a used vehicle like a used Jeep Grand Cherokee because there are so many great options out there. You need to be sure that you have all the information ahead of time to make the best, most educated, decision possible. At Frank Kent CDJR, we want you to have all the information about used Jeep Grand Cherokees so that you can find the one that will work perfectly for your family’s needs, so we invite you to stop by our dealership today! When you set foot in our dealership, we will work hard to provide you an easy, convenient, and friendly experience from start to finish. Our friendly and knowledgeable staff will take you on a tour of all the available used vehicles and any of our used Jeep Grand Cherokees in stock. You can take a couple on a test drive, get all your questions answered, and apply for financing all in one place! 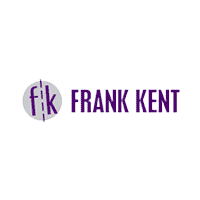 Our goal at Frank Kent CDJR is to provide only the highest quality new and used vehicles to the Ennis, TX and surrounding areas and to do so with honesty and transparency. That’s why we’ve put together this page on some of the attributes you can expect from a used Jeep Grand Cherokee. 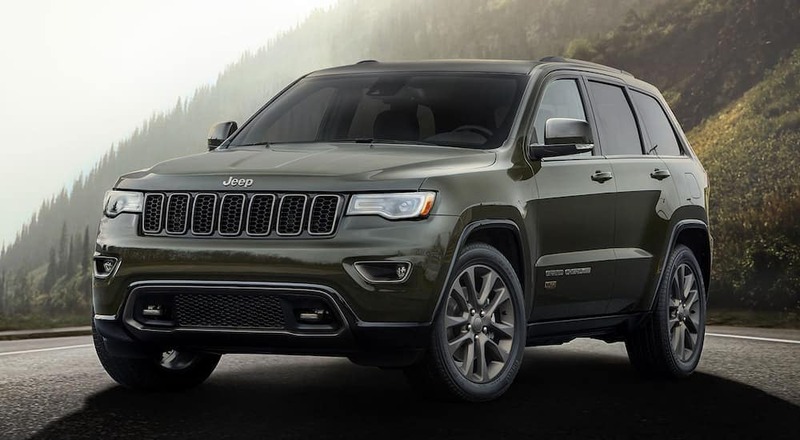 Remember, no two used cars are exactly alike, so use resources like these to help you understand the market and what exactly a used Jeep Grand Cherokee can offer your family. Many of the used Jeep Grand Cherokees that you’ll find at dealerships like Frank Kent Chrysler Dodge Jeep Ram will be from the fourth generation. This is the current generation and has been around since 2010. The fourth generation of the Jeep Grand Cherokee made it’s debut at the 2009 New York Auto Show, but didn’t actually make its first appearance at dealerships until the summer of 2010. The designers and engineers at Jeep strove to keep the Cherokee’s many widely-loved attributes in the fourth generation, but to also modernize and update the inside of the cabin and exterior. The cabins of many fourth generation Jeep Grand Cherokees can be upholstered in premium leather trim with real wood accents to add a sense of luxury to your SUV. Bluetooth and Uconnect systems also became options and upgrades like these improve the overall style and capability of these vehicles, though can add to the final cost. To this day, the Jeep Grand Cherokee makes a statement on the road and is a favorite in households all over America so finding a used Jeep Grand Cherokee will always be a great idea. The body and accompanying four-wheel independent suspension of the fourth generation Jeep Grand Cherokee were updated to improve off-road capabilities while still keeping the steel unibody. An optional Quadra-Lift height adjustable air suspension system became available in this time period, which helps to boost this SUV’s ground clearance. If this is equipped, you’ll find it easier to off-road and clear many smaller obstructions on your adventure. Rear-wheel-drive is standard on all fourth-generation models but 4WD is available, with the available FWD equipped (with packages: Quadra-Trac I, Quadra-Trac II, Quadra-Drive II) drivers have increased control on uneven terrain and in inclement weather. Meaning finding a used Jeep Grand Cherokee will be versatile in all road and weather conditions. For the fourth generation, a new 3.6-liter Pentastar V6 engine was released and the old favorite 5.7-liter Hemi V8 continued to be available. The V6 was rated at 290 horsepower and 260 pounds-feet of torque, while the Hemi V8 was rated at 360 horsepower and 390 pounds-feet of torque. The Hemi V8 engine was partnered with a Multiple Displacement System that limited four cylinders in low-power situations. The unit is also accompanied with a multi-speed automatic transmission that creates an outstanding 7,400-pounds of towing capacity. Depending on which engine and powertrain option you find you are likely to get 13-22 MPG in the city and an outstanding 19-30 MPG in the city. If you come across a used Jeep Grand Cherokee and have it in front of you, make sure to get a solid understanding of its specific engine’s capability so that you know exactly how much power you’ll have on the road and what the bill will look like at the pump. As you may have expected, the fourth generation of the Jeep Grand Cherokee has received numerous accolades over the years. This SUV continues to be a favorite with Americans everywhere and a key part of many families’ lives. Directly after being released to the public, the Jeep Grand Cherokee won over 30 awards for its style, safety, technology, and driving capabilities. This myriad of awards made the Jeep Grand Cherokee the most awarded SUV of all time! We think this is well deserved! Some of the most important awards that the Cherokee received directly after release was to be named a Top Safety Pick by the Insurance Institute for Highway Safety and a 2011 Best Buy by Consumers Digest. All of these accolades served to skyrocket the Jeep Grand Cherokee’s popularity and ended up solidifying this vehicle’s place in the SUV marketplace. Between 50,000 and upwards of 200,000 total units of the Jeep Grand Cherokee are sold each year, not including used resales! This Jeep model continues to grow in popularity and sales have seen consistent growth in the fourth generation. If you’re worried that this isn’t a popular vehicle, think again. With any used vehicle there can be a lot of unknowns. Educating yourself about the available engine options, safety ratings, and interior features ahead of time can make the process of narrowing down your final selection easier. If you don’t know where to go from here, stop by Frank Kent Chrysler Dodge Jeep Ram and one of our friendly and knowledgeable staff will be happy to walk you through the different characteristics of our used Jeep Grand Cherokees. We’ll ask all the questions to help you figure out which year or version of the Jeep Grand Cherokee is right for you and let you take a test drive to get comfortable with each vehicle. Our goal is to ensure that you have the best car buying experience possible. We know that our used Jeep Grand Cherokees are proven SUVs and stand up to other rivals on the market in terms of safety and performance. Jeep Grand Cherokees consistently deliver great performance ratings, their interiors are timelessly pleasing and comfortable, and their bodies are designed to take on any type of road. We’re confident that your search for the perfect Jeep will come to fruition at our dealership in Ennis, TX, and we can’t wait to meet you! So stop on by or schedule a test drive today so that you can begin the journey to find your new or used vehicle today!